We are writing to inform you about the important event that we are holding on Saturday 30th March 2019 at 4pm in order to raise funds for the purchase and rebuilding of The Gospel Pentecostal Church. The Gospel Pentecostal Church is more than a place of worship. It is a “community asset” for facilitating useful discussions and canvassing views on challenging community-wide issues. 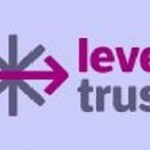 These include hosting diversionary activities for vulnerable young people as well as programmes aimed at adults and the elderly people from a diverse range of religious and secular backgrounds. 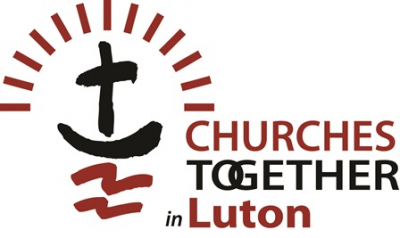 By supporting us with your time and also your donations, we will be able to ensure that the Gospel Pentecostal Church continues to fulfil a vital community leadership role directly and in partnership with the Luton Borough Council and other local agencies. We are a UK registered charity that has been providing various services to people of all ages within and outside the United Kingdom. However, our current building is a limiting factor to the type of events we are able to offer. It was constructed around 1969 and is a timber sectional building with design life of approximately 25 years, now some 40 years later it in desperate need of replacement. The building is poorly insulated and does not comply with the current requirements for level access and disabled toilet facilities etc. Hence, we have a burden to replace this building with a modern facility which is equipped to meet current legislation and would enable us to further our work within the community. Since The Gospel Pentecostal Church was founded in Enfield, London in March 2003, we have been able to achieve a significant amount. One of our proudest achievements was the launch and commissioning of the Living Water Project, a charity aimed at providing safe drinkable water for those without access to it. The first borehole was commissioned in Olubo Village, Ogun State, Nigeria in 2009. Since relocating to Luton, Bedfordshire in 2010, we have successfully launched an annual community event called Neighbours Together. This is a 1 – 3 day event aimed at empowering different members of the community and increasing community cohesion. During this event, we have introduced new community initiatives such as Reading Together for young people focusing on extra numeracy and literacy support and organised workshops in order to address issues such as education, gun and knife crimes, and mental/physical health. 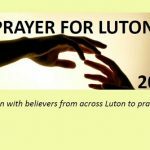 The GP has also held events such as “CommuniTea” (inter-generational tea & coffee mornings) and “Arise” as well as hosting “Prayer for Luton”. Our work has been recognised by the community itself, as well as local Councillors, MPs, and Mayors. Our events have been recognised at stages such as the “Luton Best” awards, where we were recognised as a Community Achiever. In order to be able to continue the work we do within the community, the time has come where we need to purchase and rebuild our current church building. Without having the funds do so, the future of this church is in jeopardy. We therefore implore you, irrespective of your faith, to join us as we aim to raise the necessary funds to purchase and rebuild the church building. If you are unable to attend the event itself, your generous donations would still be greatly appreciated. Account Detailsare on the poster.